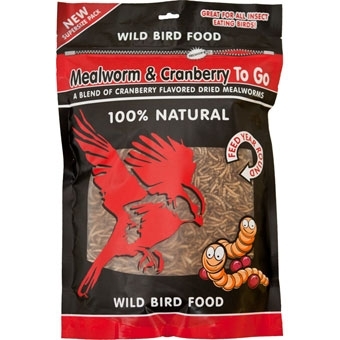 Rendered beef suet, peanuts, corn and raisins.&nbsp; Can be fed alone on a platform feeder or Nugget/Peanut feeder. Ideal when mixed with 5-10 lbs. of seed in a traditional feeder. Resealable bag. 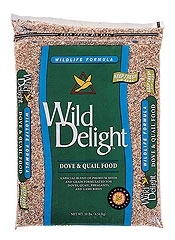 White Millet is a small, nutritious grain easily digested by all birds. Attracts juncos and sparrows. Size is 50 lb. 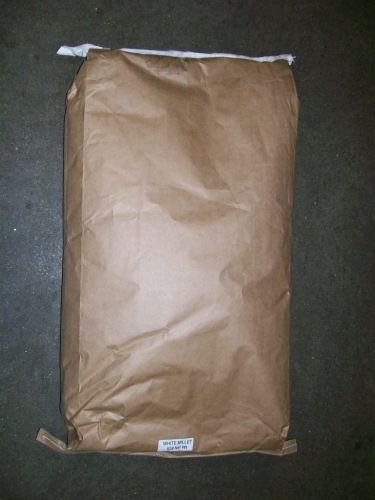 plain bag. 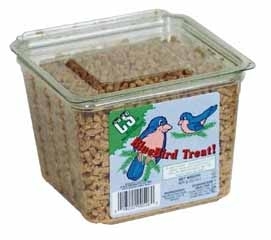 Attracts Bluebirds and insect-eating birds. 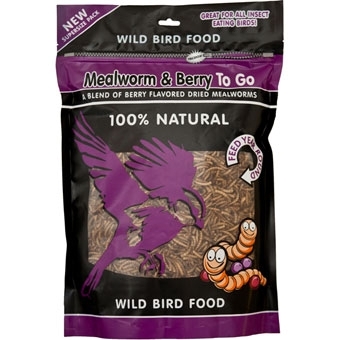 Feed alone or add to bird food and suet mixes. Rehydrate by soaking in warm water for 30 minutes. 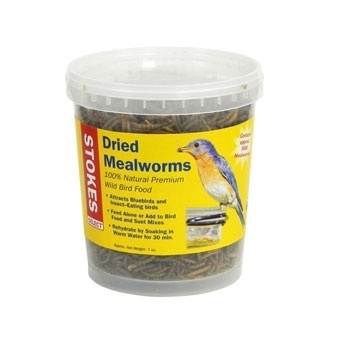 Dried Mealworms are an excellent source of high protein for all insect eating wild birds. This 100% natural product can be fed all year round. With added natural berry flavoring. 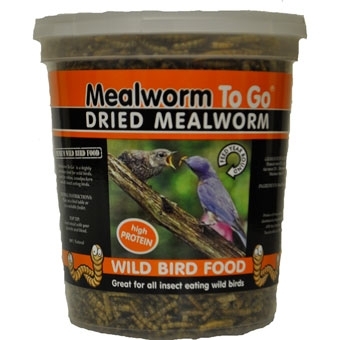 Dried Mealworms are an excellent source of high protein for all insect eating wild birds. This 100% natural product can be fed all year round. With added natural cranberry flavoring. 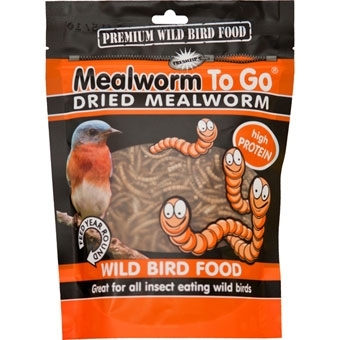 Dried Mealworms are an excellent source of high protein for all insect eating wild birds. This 100% natural product can be fed all year round. 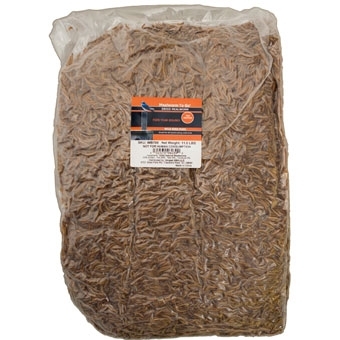 This bird seed comes in reclosable barrier bags with a Keep Fresh Zip Seal preserve freshness and reduce oxygen penetration. 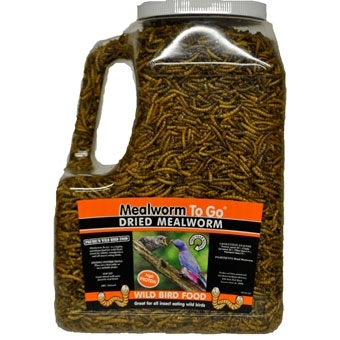 Wildlife Formulas provide premium nutrition for wild birds and other backyard pets. 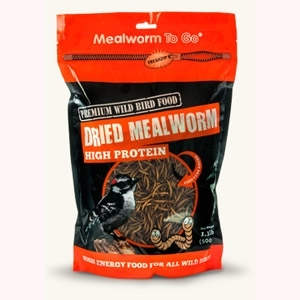 Dried Mealworm.100% all natural chicken treats are truly tasty to chickens. Great foraging treat. High in protein. 3.5 oz. Zip-lock pack.